We pride ourselves on outstanding customer service, reliability and technical support to all our customers. This includes custom couches, delivery and installation of couches and spare parts, re‑upholstery, as well as planned maintenance and service contracts. Our continuous service and maintenance programmes are the best way to guarantee your couches are utilised to their full potential. An on-going service programme can minimise the risk of unplanned expenditure on product breakdowns. Employing a planned service programme can help with risk analysis of the couch and rolling product replacement programmes, assisting with your long-term budget management. TitanMed can accommodate to individual customer needs by providing a tailored service and maintenance package. Customers can choose between annual service contract packages or more long-term service and maintenance options for a variety of couches. All TitanMed treatment couches and chairs are designed to provide seamless and trouble-free operation for the entirety of their working life. TitanMed products require minimal maintenance due to the thoughtful design and assembly methods utilised during manufacture as well as the use of high-quality components. However, this does not negate the need for regular inspections and servicing. For safety reasons, all couches and chairs require annual inspection and servicing as a minimum, to maintain their good working order and ensure they are safe for both operator and user from any avoidable detrimental incident. All maintenance and service work is carried out by our own trained personnel, so that we are happy with the level of service provided. 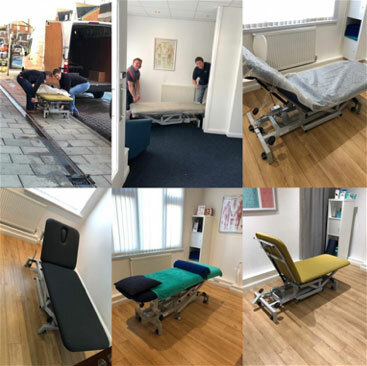 With a wealth of experience in the manufacture and distribution of treatment couches, we can also service and repair products from other UK manufacturers and distributors.